Daniel Pipes briefed the Middle East Forum in a conference call about the European response to uncontrolled migration; click here to hear the full presentation along with the question & answer period that followed. Mr. Pipes taught Middle Eastern and world history at Harvard University and the University of Chicago, served on the Policy Planning Council under President Reagan, founded the Middle East Forum, and oversaw $28 million in grants to allies. He has written sixteen books. In Hungary, the civilizationist part on its own formed the government. In Austria, the conservative party joined in a coalition with the civilizationist party. In Italy the anarchist-left Five-Star Movement formed a coalition with the civilizationist party. 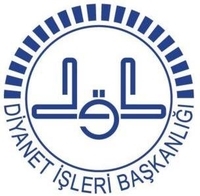 Logo of the Diyanet, the Turkish government's religious authority. Poland, Czechia, Slovakia, Switzerland, and Norway have likewise shifted towards a civilizationist stance. Even Germany, which opened the migratory floodgate in 2015, is in the throes of a backlash as Islamism is turning a substantial number of its five million Muslim Turks against their host society and culture. A recent study has found that 60% of German Turks align themselves with Turkey's Islamist President Recep Tayyip Erdoğan, who has funded and built hundreds of mosques throughout Germany, led by imams who receive their instructions from Ankara. In Holland and Bulgaria, the creation of Turkish-Islamic political parties has created tensions between the two governments and Ankara, while Denmark is experimenting with the assimilation of migrants through imposed regulations aimed at countering feelings of alienation and marginalization. In Eastern Europe, by contrast, the conversation is mainly about the incompatibility of Christian and Muslim cultures. Spain, Italy, and Greece have been the entry points for illegal immigration into the continent, which can be stopped should Europe display the necessary resolve. Expelling criminal migrants is possible, though it is difficult to find countries that will accept them. A far greater challenge is expelling non-criminal illegals, which Italy's Deputy Prime Minister Salvini has pledged to do at the rate of 100,000 migrants per year over the next five years. For now, proposed solutions to relieve the migration crisis plaguing Europe are embryonic. The extent of their success, however, is not only important for the vast and prosperous continent but will likely influence future developments in the United States. Summary account by Marilyn Stern, Communications Coordinator for the Middle East Forum.